Fifteen Ulster University students will make history today when they become the first deaf sign language teachers to graduate from an innovative teaching course. 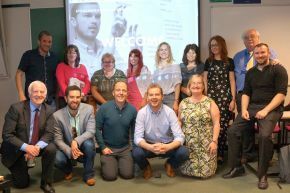 The course tutors believe that the 15 strong group will lead the way for sign language and deaf education in Northern Ireland, and beyond, in the future. 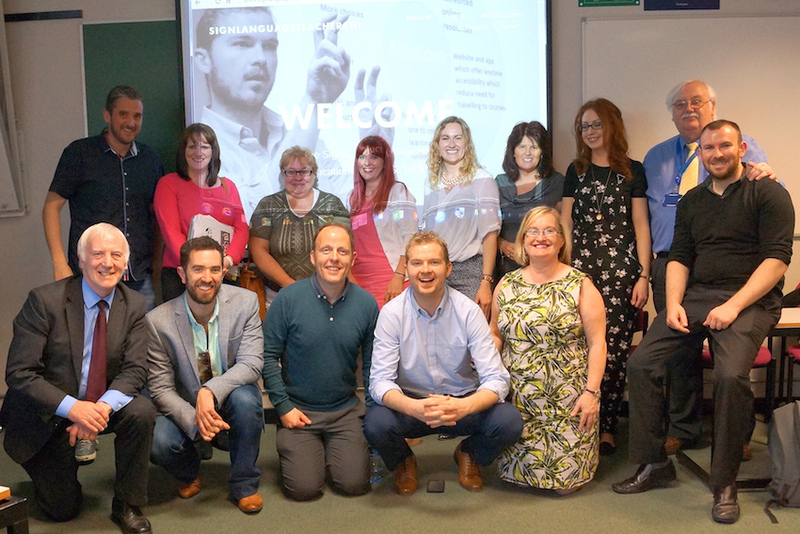 To enhance their already well respected programmes, a few years ago Sign Language Teachers NI introduced new teaching and learning projects which evolved within their course at Ulster University through the DEL Project. And now the three year course has helped 15 deaf sign language teachers in Northern Ireland to develop their teaching skills to a new level. It is understood this is the first initiative of its kind in Europe and has proved extremely popular with the teachers, who believe it will make a big difference to their pupils and their community. Education when the teachers graduate today at the Waterfront Hall in Belfast. Julie Loughran, who has completed the course, added: "I have learned that, I have to work to stimulate both the left and right side of the brain. I have also explored disability and needs with the support of Middletown Autism Centre. Placement was a great experience and I have really enjoyed the use of technology and see great potential for the future. Student Holly Lane said: "The course has changed my teaching skills for the better. I have gained experience and advanced my use of technology for the development of eLearning and video tools in my classes. I have learned how to promote teaching standards and to offer learning courses that are based on needs." Another graduate Paula Hughes said: "I have a lot of teaching experience and this course has given me the confidence to try out new ways of teaching. My classes are more active and linked to learner-needs. I enjoyed studying new things at Ulster University and feel very confident as a qualified teacher for the future." Ulster University lecturer in education Celia O'Hagan said: "It was one of the greatest outcomes for Ulster University to work with such a diverse group of people and to learn so much about sign language. The student teachers were a joy to work with, most of them now employed or working toward employment in this field and we are very proud of their achievements. This newly skilled workforce will put Northern Ireland on the map as leaders in sign language, both from an advisory perspective and course design. Many stakeholders are already interested in taking forward the ideas of this student group from starting up a new business to future funding and advancing research in this field."